Raccoons are seen to some as cute fluffy creatures who don’t mean harm. To others, these masked bandits are nothing but trouble and will ruin your yard by strewing trash all over. 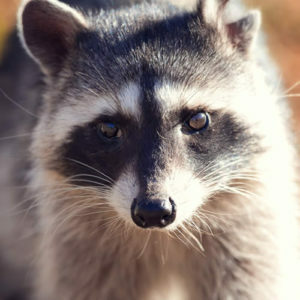 What both sides fail to recognize most of the time, however, is how extensive the damages are that raccoons can make if they get in your home. Although raccoons prefer the cover of tall trees in the woods, urban sprawl has made it difficult for them to enjoy their natural habitat, so they have taken to invading your property in search of warm shelter and access to food. It’s quite easy for raccoons to gain access to your home since they have little thumbs and are extremely dexterous. They also may choose to stick around your yard, eating your trash or burrowing under the structure of your home. Since raccoons are social creatures, there will almost never be a raccoon acting alone when breaking into your property. The health threats that raccoons pose on your family are not worth waiting to see if they will leave on their own. The expert raccoon removal services offered by Critter Control® Miami are everything you need to rid your home of these furry pests. Our professionals are well trained on how to safely and efficiently remove all unwanted critters from your home. To schedule your free consultation, call us today at 305-258-3587.